The secret to looking rested? 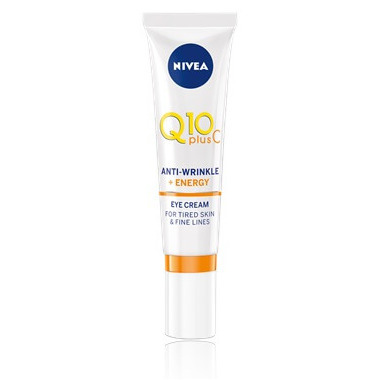 The unique combination of coenzyme Q10 and pure vitamin C, two antioxidants contained in Nivea Q10 plus C Anti-Wrinkle Energy Eye Cream. The light, fast absorbing formula works effectively overtime to help visibly reduce fine lines and crow's feet, for firmer, smoother looking skin around the eye.